Rebecca Barnes is the Program Director of Ridgeview Commons, an Apartment Treatment Program certified by the New York State Office of Mental Health. The program offers personalized rehabilitation planning to strengthen a consumer’s skills and is intended to be the last residential step before the consumer begins to live independently within the community. An emphasis is placed on increasing personal initiative and self-reliance. Rebecca describes what it is like to work at DePaul and what she enjoys most about her role. I have always enjoyed helping people. Upon finishing my Bachelor’s degree in social work, I received a call from a colleague who suggested I apply to DePaul. Describe one of your typical workdays and what you find most enjoyable about your role at DePaul. It varies from day to day. 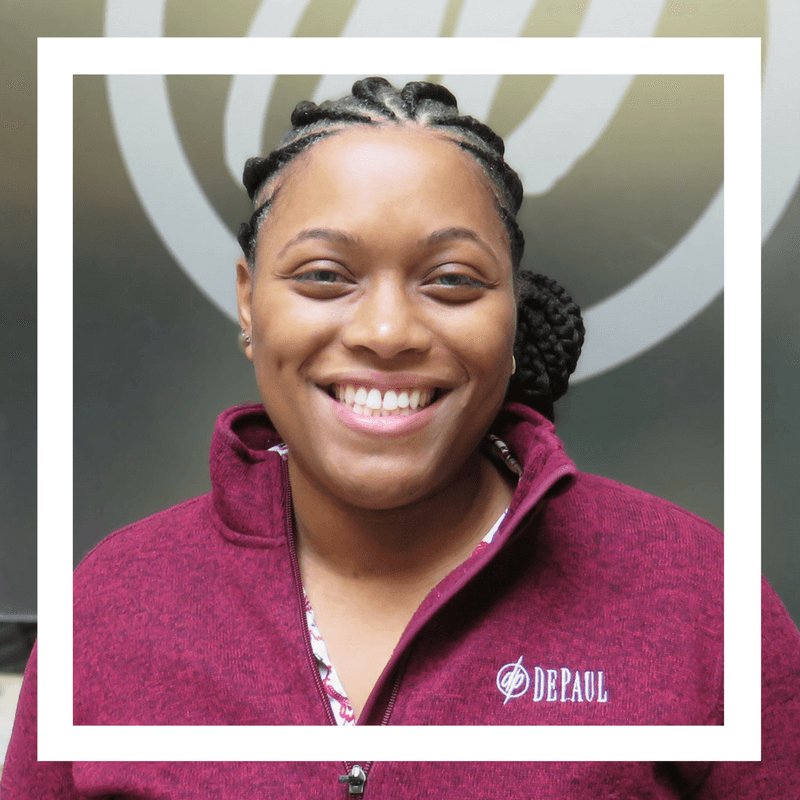 I’m often attending meetings with other DePaul employees, or treatment team meetings with the residents, supervising staff, checking in with the residents, planning events and making sure mental and physical health concerns are being addressed for our residents. I enjoy working with the population we serve and seeing them on a daily basis. When experiencing good days or bad days, our residents know that my staff and I are always here for them. What skills/education/training are required in your position on a day-to-day basis? Leadership skills, communication and organizational skills, handling crisis situations, medication training, counseling skills and techniques. Several staff members on site have a Bachelor’s degree in social work or psychology. How long have you been with DePaul? I have been with DePaul since October 2010. How many people live at Ridgeview Commons? Ridgeview Commons has 64 studio apartments. What types of activities and supports are offered to the residents? We provide a monthly recreation calendar that offers various activities. We also have a monthly resident meeting that allows the residents to express suggestions they may have for future social events or outings. We offer personalized rehabilitation planning to strengthen a consumers skills in preparation for a move to independent living. We also offer the STAR Program (Success Through Active Recovery) that offers tools to help folks focus on their recovery. We have weekly peer-run recovery meetings on site. What do you think residents like best about living at Ridgeview Commons? We have 24-hour support from staff with security on site at night. There are various community resources within the area including blood labs, banks, grocery stores, bus line, the post office and Rochester General Hospital/Urgent Care. Residents also enjoy having the comfort of their own apartment. What three words would you use to describe working at DePaul? My favorite part is helping the people we serve on a daily basis strive to accomplish their goals. Working at DePaul has provided me with the best hands-on experience. Can you describe your career path up to this point? What previous positions have you had? I’ve held previous positions such as Residential Counselor, Assistant Residential Manager, Residential Manager and Senior Program Supervisor. In my free time, I enjoy spending time with my kids playing board games and Just Dance. The dedication and commitment of DePaul employees truly makes a difference to those in our care. For all of the people DePaul serves and will serve in the future, our programs and employees provide the building blocks to change, improve or maintain one’s quality of life over the long term. Check out this blog post about how our employees find real fulfillment working at a not-for-profit human services agency. DePaul operates programs in Erie, Genesee, Monroe, Niagara, Orleans, Schenectady and Wyoming counties.